You probably know that tax credits help you save money on your taxes, but you may not understand how this works or who qualifies for them. 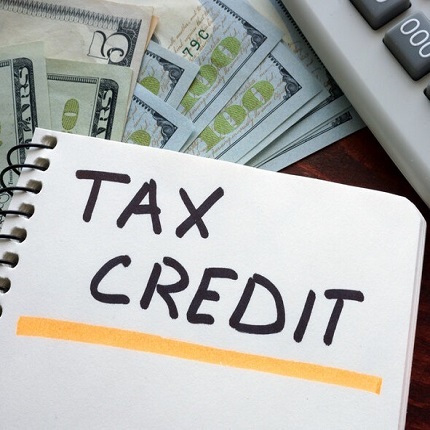 All tax credits have unique eligibility requirements, and some are worth more than others. Tax credits also come in two types: refundable and nonrefundable. While both are nice, refundable tax credits offer the better deal because they can reduce your tax liability below zero, so you could get a refund even if you don’t owe any taxes. You can learn more about refundable tax credits in detail below, along with some common ones you may qualify for. Tax credits are not to be confused with tax deductions, which also help to reduce your tax liability. A deduction reduces your taxable income — that is, the amount of money subject to income tax. So if you earned $50,000 last year and qualified for $15,000 in deductions, you’d only pay taxes on the remaining $35,000. Tax credits, on the other hand, directly reduce your tax bill. So if you owe $5,000 in taxes for the year, but you receive $2,000 in credits, you’ll only pay $3,000 in taxes. The government will refund you any excess it took from your paychecks throughout the year. What’s A Refundable Tax Credit? Most tax credits are nonrefundable. This means that they can reduce your tax bill to zero, but the government won’t credit you for any extra credits. Refundable tax credits can reduce your tax bill below zero. If your total refundable tax credits exceed your tax liability, the government will pay you the difference. Say your tax bill is $5,000 for the year and you qualify for $6,000 in refundable tax credits. The government will now give you back all the income tax it took from your paychecks, plus an extra $1,000. This means that you can get a tax refund even if you don’t owe any taxes or aren’t required to file a tax return for the year. But you must file a return in order to claim any refundable tax credits you qualify for. Refundable tax credits are calculated after your tax deductions and nonrefundable credits to ensure you get the largest return possible. Below are three of the best-known refundable tax credits that you may qualify for. The Child Tax Credit is worth up to $2,000 per qualifying child, but only $1,400 of this is refundable. A qualifying child is considered a biological, step, adopted, or foster child; a full, half, or step sibling; or the direct descendant of one of these people under 17 with a valid Social Security number. He or she must live with you at least half the year, and you must claim him or her as a dependent on your taxes. The child cannot provide more than half of his or her own support. You must have at least $2,500 in earned income during the year to qualify, but if your AGI is over certain thresholds, the government will reduce your credit. For single adults, heads of household, qualifying widow(er)s, and married couples filing separately, the limit is $200,000. It’s $400,000 for married couples filing jointly. For every $1,000 your AGI exceeds this limit, your Child Tax Credit will decrease by $50, until it finally disappears if you earn more than $40,000 over the limit for your filing status. The American Opportunity Tax Credit is worth up to $2,500 for qualifying students pursuing higher education. You must be enrolled at least half time for at least one academic period during the calendar year you’re claiming the tax credit for, and you cannot have any felony drug convictions. This credit is only available for your first four years of higher education. The credit covers 100% of your first $2,000 in education expenses and 25% of the next $2,000. These include tuition, books, and other costs directly related to education. It doesn’t pay for things like transportation to and from school or housing. If the credit reduces your taxes below zero, the government will refund you up to 40%, or $1,000. Apart from these three, there are other, lesson common refundable tax credits available. Your tax filing software should ask you questions to help determine which credits you qualify for, or you can ask a tax professional if you’re unsure. The eligibility requirements and value of these tax credits may change from year to year, so it’s important to stay abreast of these changes if you plan to claim these same credits next year.